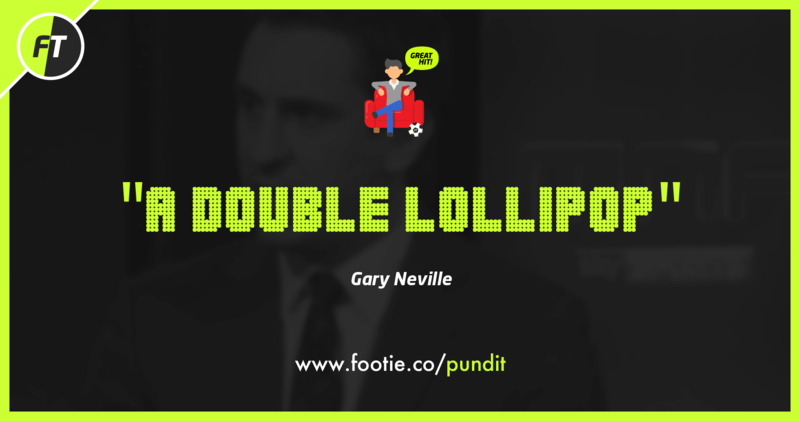 One of football’s most used football clichés ever! 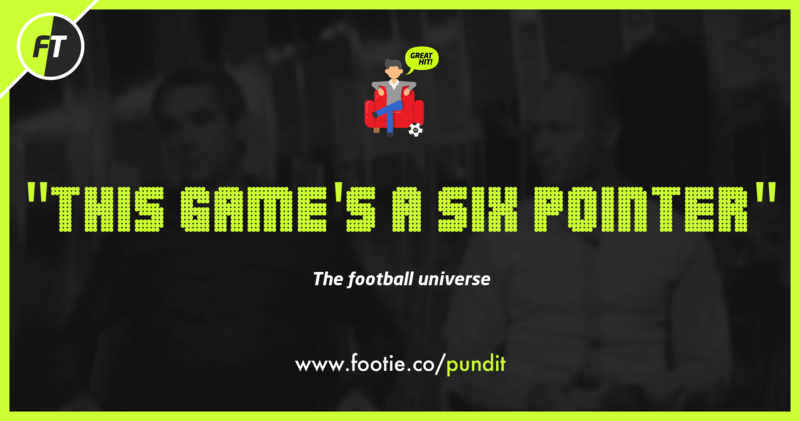 While in modern day football it’s (only) 3 points for a win, the football universe (namely Lawrenson and Keown) have often rolled this out when describing games at the foot of the Premier League table. There’s all kinds of excitement in the relegation ‘dogfight’ so when fixtures like Stoke v Swansea (as of Jan 2018) are thrown up, winning these games are incredibly important – almost like getting SIX points for the win! 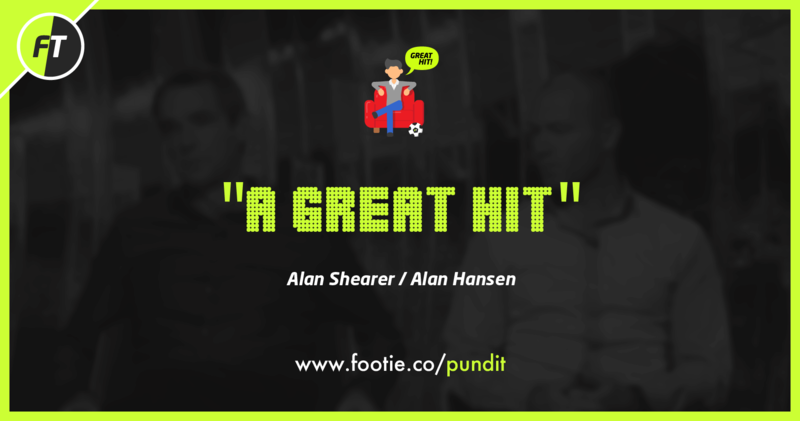 It’s that man Shearer again. 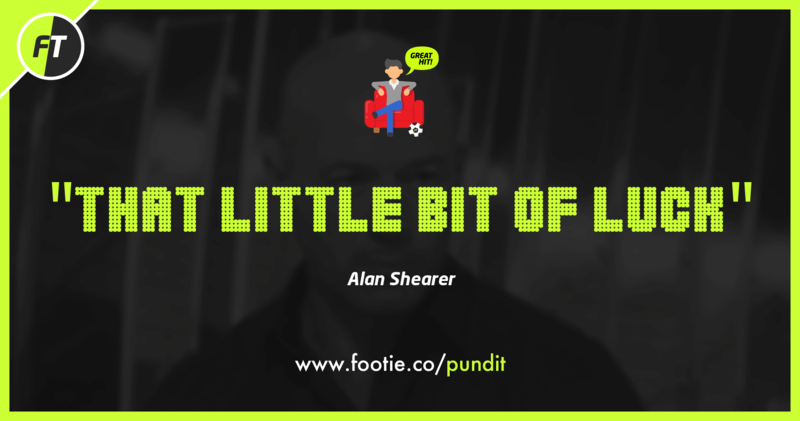 Straight out the MOTD hot seat, “That Little Bit Of Luck” often describes a team or player who have rightfully had the rub of the green that often has deserted them in a season. Seems like this phrase can only be coined in that silky Geordie accent of his. This increasingly popular cliché often surfaces when the normally red hot striker such as Harry Kane or Sergio Aguero has an unusually quiet game. The strikers are more ridiculed for further embarrassment if the defender is of a lesser standard or a player from the lower leagues. 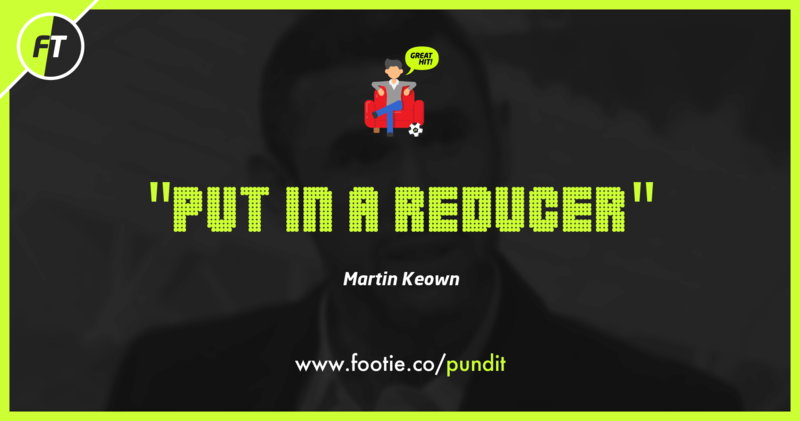 As a former England international and multiple Premier League winner, Martin Keown has earned the right to use this phrase. Usually its best applied to an unorganised defence or the type of defending that leads to a soft goal. We would never see Keown defend this way would we? We were tickled to hear another classic when her spouted out a keeper had just done a ‘Pantomime save’ referring to a flamboyant unnecessary save. This hilarious phrase can really only be associated with Manchester United’s Jose Mourinho and is reference to his stubborn tactical masterclasses. Okay, some games – if not most – aren’t that great on the eye, but he gets the job done. He generally uses the “Park The Bus” tactic to get as many players behind the ball and stifle their opponents attack. This is usually employed after his teams go 1-0 up. Much of his success at Chelsea was using the “Park The Bus” method. It’s incredibly effective – just frustrating to watch. 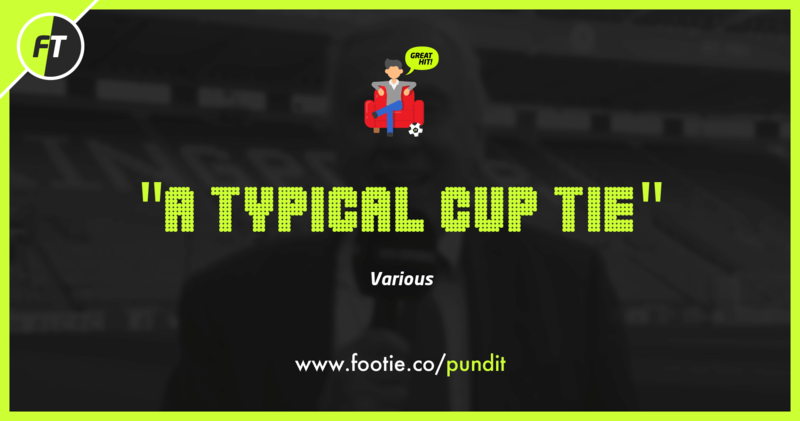 One may ask what a qualifies as a “A Typical Cup Tie” and for any real football fans, we know exactly what that means. This term can be applied to a ‘David and Goliath’ tie where a non-league team comes up against the big guns. Often the lesser known team goes ‘hammer and tongs’ in search for the victory. Typical cup ties have an element of unpredictability about them with teams going in to the unknown on a floodlit pitch on a Friday night. Often this term is goes hand in hand with the ‘romance’ of the FA Cup. This one is an absolute favourite of Mike’s. I do remember hearing it coined originally by Alan Hansen and his Scottish tones when he was in his punditry prime – Circa 2001. More recently Mr Shearer has adopted this and regularly uses it guesting on his Match of the Day spot on a Saturday evening. This one is up there with the very best… I love it! 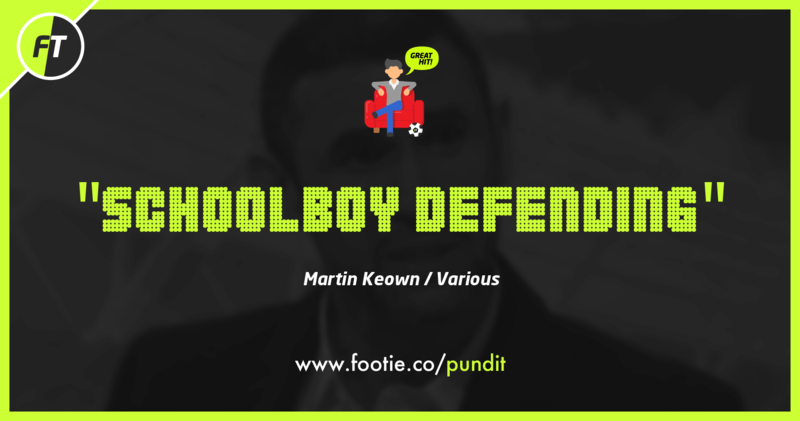 I had never heard such saying before – I even had to rewind it to hear Keown say it again. In a nutshell a ‘reducer’ is performed by a player to break up play such as taking out a player cheaply in order to stop an attack. Pure gold! 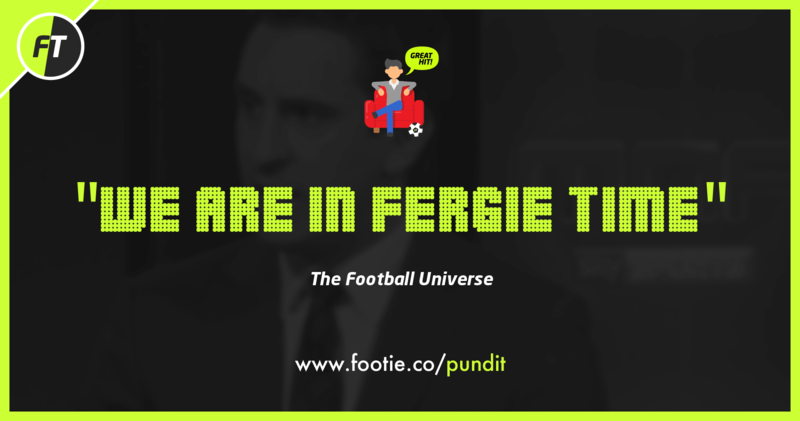 I can see it now, The most decorated managers in Premier League history stood in the dugout – his nose purpling, chewing gum hastily pointing to his watch, the term ‘Fergie Time’ was coined by various pundits over the years to describe (ridiculously amounts of) injury time in a game. The first instance of this was when Man Utd were playing Sheffield Wednesday in the 92/93 season. Incredibly United turned a 0-1 deficit to a 2-1 win in the space of a few ‘Fergie Time’ added minutes. Allegedly, Ferguson used gentle persuasion (tapping his watch) to influence referees in to adding extra minutes to injury time, much to the annoyance of the opposition managers. Ironically, United scored many late goals owing to this – namely the European Cup in 1999. Well there you go! 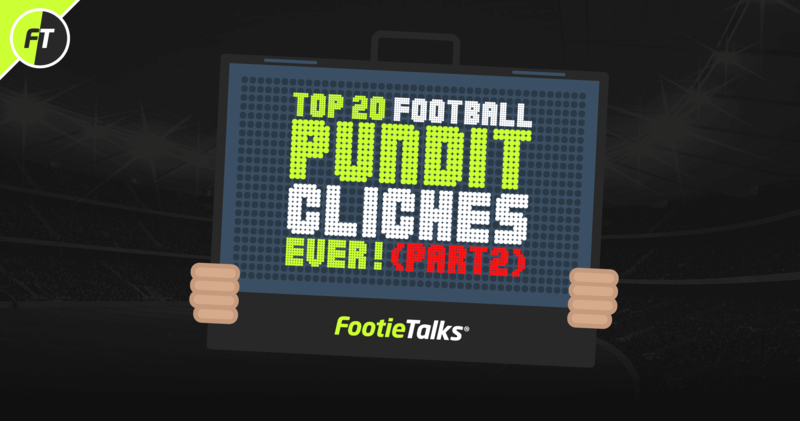 This is our top 20, which would you say is your favourite? 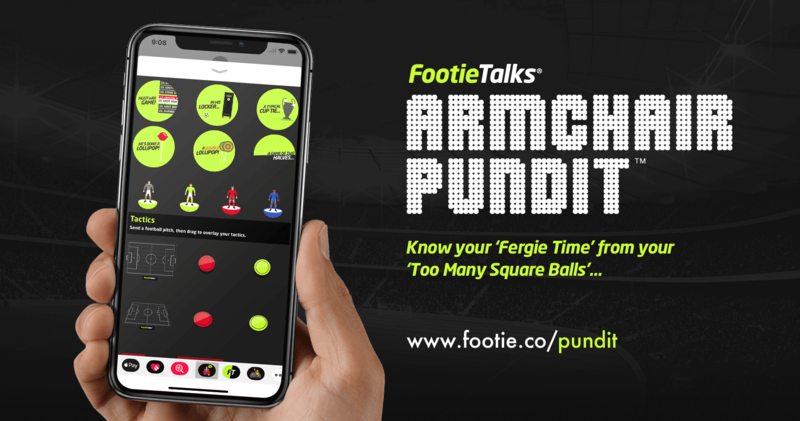 To learn more about our FootieTalks Armchair Pundit iMessage App, please visit the App Store.